"friday-lunch-club": "America’s Moment of Truth on Iran"
"America’s Moment of Truth on Iran"
"... If Obama does not conclude a deal recognizing Iran’s nuclear rights, it will confirm suspicions already held by many Iranian elites—including Ayatollah Khamenei—and in Beijing and Moscow about America’s real agenda vis-à-vis the Islamic Republic. 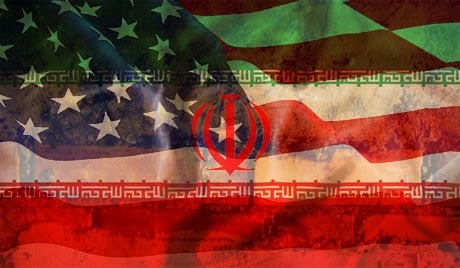 It will become undeniably clear that U.S. opposition to indigenous Iranian enrichment is not motivated by proliferation concerns, but by determination to preserve American hegemony—and Israeli military dominance—in the Middle East. If this is so, why should China, Russia, or rising Asian powers continue trying to help Washington—e.g., by accommodating U.S. demands to limit their own commercial interactions with Iran—obtain an outcome it does not actually want? America can also fail Iran’s test if it is unable to provide comprehensive sanctions relief as part of a negotiated nuclear settlement. The Obama administration now acknowledges what we have noted for sometime—that, beyond transitory executive branch initiatives, lifting or even substantially modifying U.S. sanctions to support diplomatic progress will take congressional action. During Obama’s presidency, many U.S. sanctions initially imposed by executive order have been written into law. These bills—signed, with little heed to their long-term consequences, by Obama himself—have also greatly expanded U.S. secondary sanctions, which threaten to punish third-country entities not for anything they’ve done in America, but for perfectly lawful business they conduct in or with Iran. The bills contain conditions for removing sanctions..."